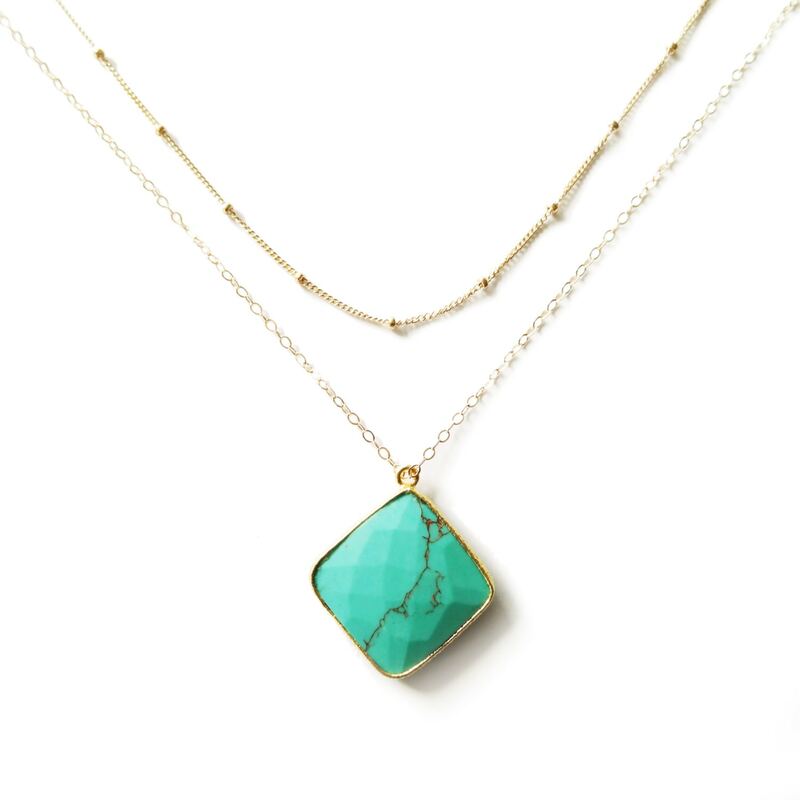 Shortest Length 15" 16" 18" 20" 22"
This gold turquoise layer necklace features a top layer of gold filled satellite chain (perfect for some added texture and pattern) and a bottom layer of 22k gold framed turquoise. 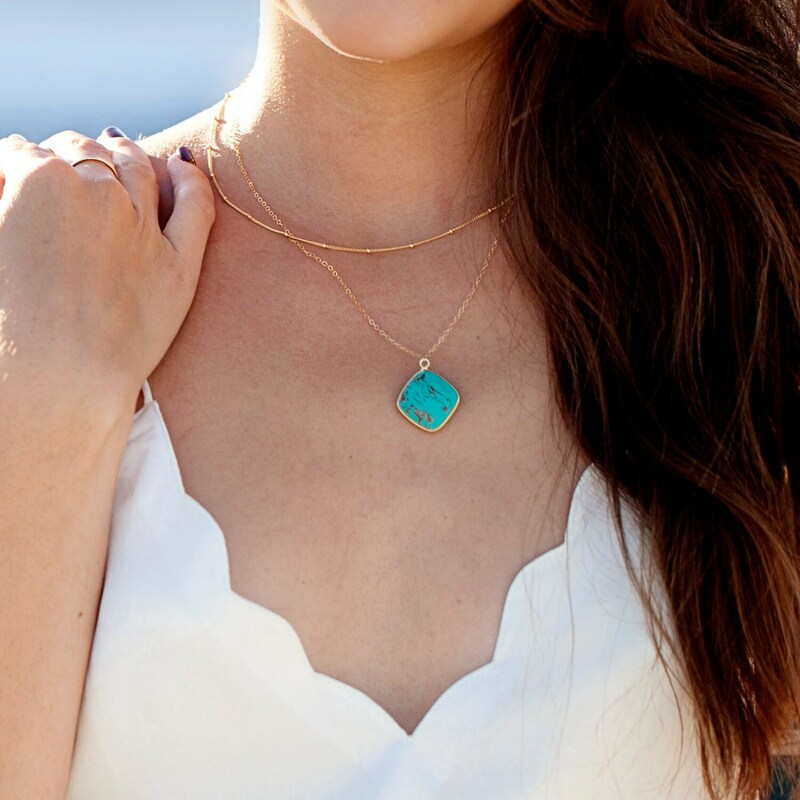 These neckless are fabulous for everyday wear and look great worn individually, but even better when paired together! 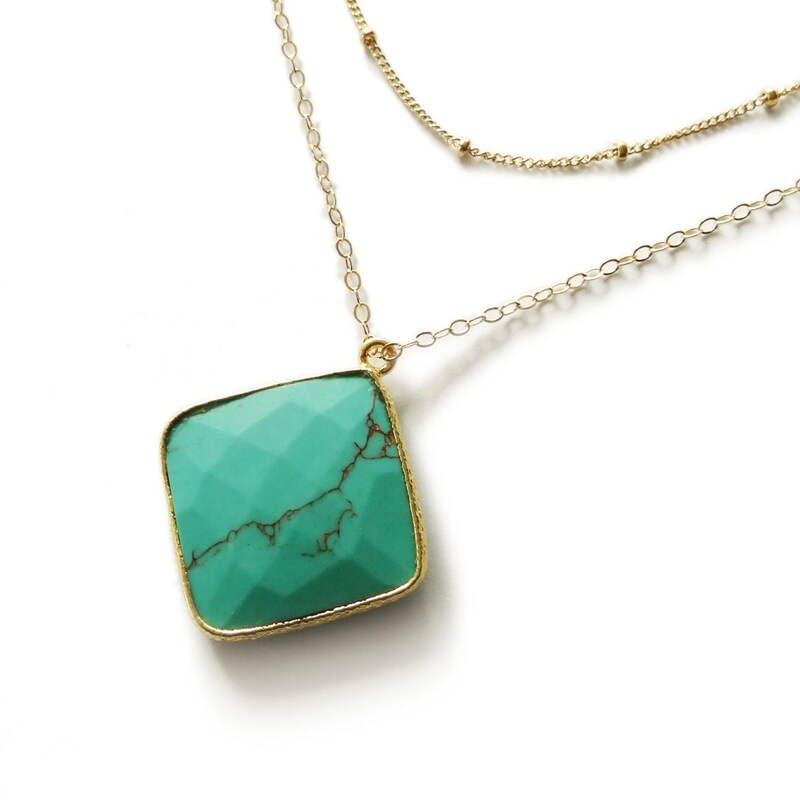 The turquoise piece is a little bigger than a quarter. » Select your length. 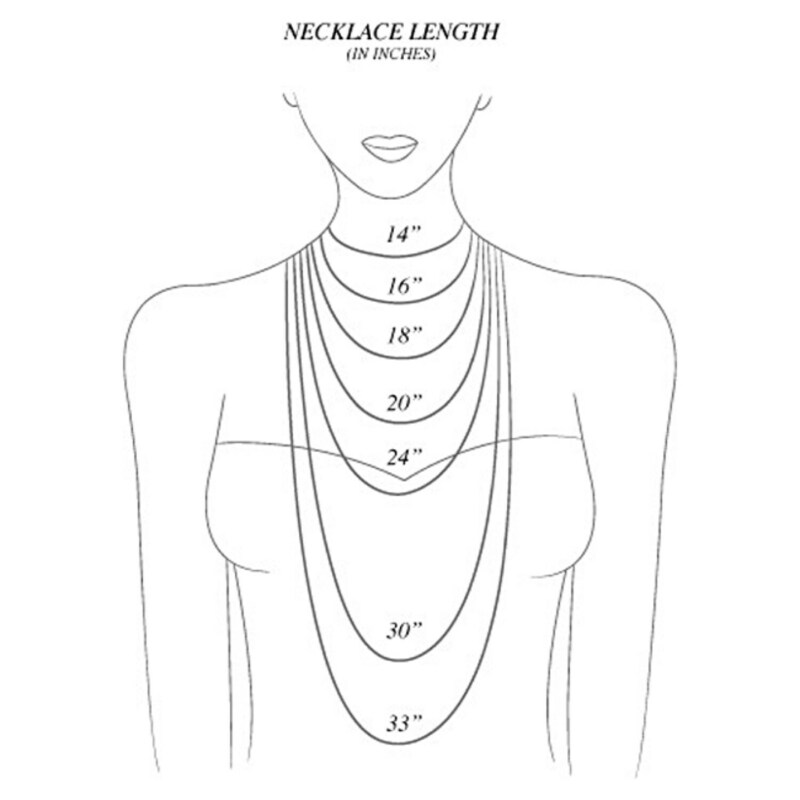 Length refers to the shortest necklace, and the following necklace will be staggered by two inches. I recommend 16" or 18". I received this item 6 days after ordering so I’m pleased. So far I love the set. The turquoise is large enough but not too large. 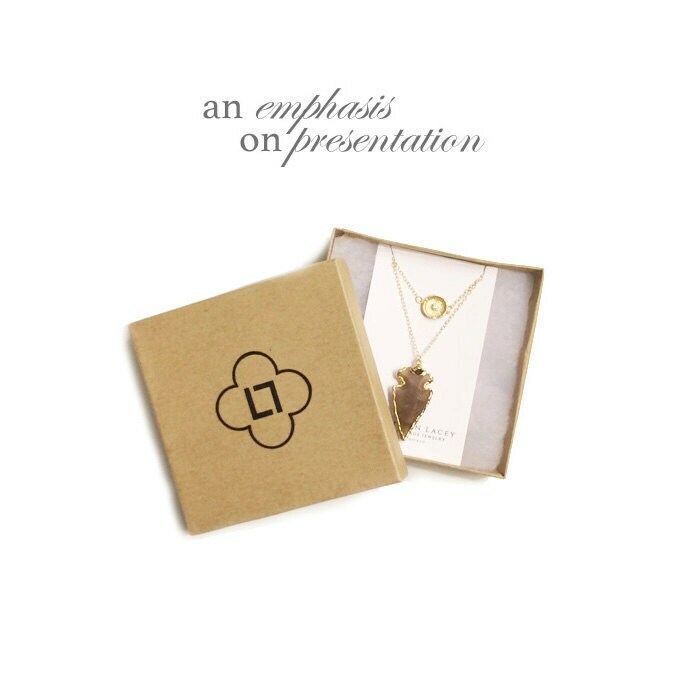 It also came attractively wrapped.